Last Sunday, Kylie came over to watch Game of Thrones. 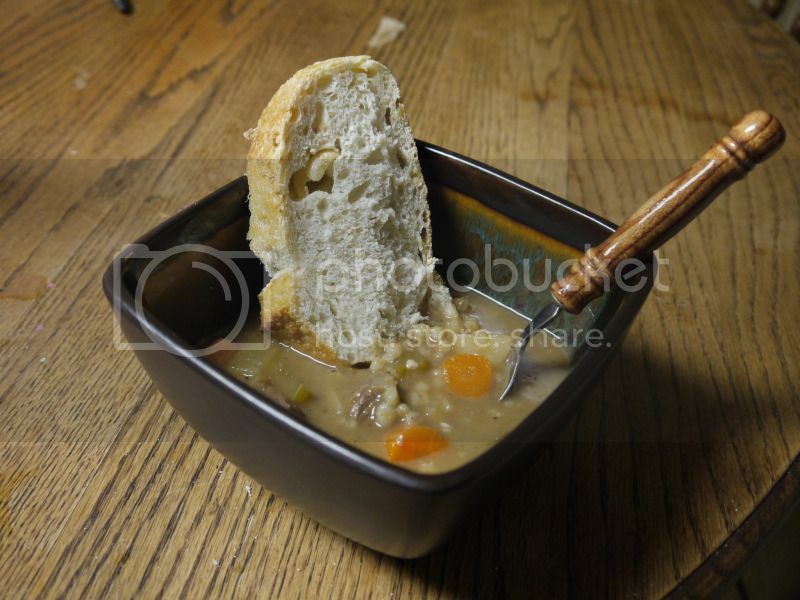 To set the mood, we decided to make a beef barley stew. I wish I could tell you the recipe, because it was delicious, but alas. My sister doesn't really measure in the kitchen. So instead I'll just leave you with this photo of the finished product to make you jealous.